Theatre Circle: Best for T-Shirt selection and play scripts. The dinky One Shubert Alley, the first and most nostalgic theatre gift shop. Between Memphis and next to normal. Best selection of theatre cards! Time's up! We are off to the show I am most curious about, The Addams Family! Is it as bad as the critics (and the folks who buy everything Ben Brantley says, hook, line and sinker) say it is? My review will post on Thursday, June 3rd! We marvel at how long the line is and how efficiently we are taken to our seats. The place is a mob scene, and the excitement in the air is palpable. The last time I felt this much expectation in the air was the third performance of the original Les Miserables. But, is it good? We'll see. 11:15ish. We are too awake to go right to bed - the Edison is directly next door to the Lunt-Fontanne - so we join the masses at Junior's for coffee and dessert. Us and every other theatre-goer it seems. We got a seat out on the porch, a cool breeze blows through 45th Street. Our boisterous conversation, including a few "shush"s from surrounding patrons, kept us there until after midnight. We watched as one by one each marquee went out for the night. We packed, checked out, checked out bags and hit some cool stores on Broadway... the Fossil Store, the M and M Store, the American Eagle Outfitters. Then we people watched while milling around TKTS and vicinity. Then we trudged up Broadway - it was getting hot, and I HATE being sweaty unless I;m at the gym - toward the Broadway Theatre and Promises, Promises. I could take the anticipation, so we got the tickets we had reserved early, because I had to know if Kristin Chenoweth was going to be in the show that afternoon - she's been out recently nursing a throat infection. Good news! Only one of the horny businessmen was out that day! Before the show, we were parched, so we went across the street to the Crown Deli, the only place in the world that I know of where you can by yogurt covered pretzels, tampons, playing cards, a turkey club wrap and sushi! We opted for bottled water and the air conditioned seating area up top. Now it is show time, and my buddy is about peeing himself because we will be seeing Kristin. Our seats are about 10 feet from the stage, an excellent, full and close view. 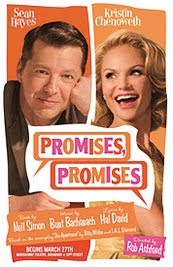 My review will post June 4th, but I will say this: Kristin was in amazing voice and can play angst as well as she can play perky, and Sean Hayes couldn't have acted any straighter. I recommend the Brownie Cupcake. my reflection in the left side window. The show is over at 5:45! It sure felt shorter, but we now had to move fast to get our stuff grab a sandwich of the bus and get in line outside Madison Square Garden. First stop, Crumbs, for a delicious cupcake, then the Edison to get our bags, then to the Signature Deli (no picture...it is covered with scaffolding on the outside). We went there because hey have the best chicken salad and the cheapest price - chicken salad with bacon on a kaiser roll with a bag of chips and a bottle of water.... $7.95! You can't that in Vermont, folks. The stop was doubly worth it for me, as when I was leaving, I literally ran into Stark Sands, who was grabbing a between show bite. He apologized to me, I blubbered out something about my fault and he picked up what I dropped and said, "have a great night!" You know my crush on him... my weekend was made. Then we hoped on the subway, got off at Penn Station and waited for the bus. Nothing like a fun trip to the city with a good friend, good food and 3 new Broadway shows! Hope I didn't bore you! THIS IS IN TWO PARTS BECAUSE I HAVE TOO MANY PICTURES TO SHARE FOR ONE ENTRY, APPARENTLY. Sorry! As I've Tweeted and mentioned for day prior to this, I had a big weekend scheduled in New York City this Memorial Day. And like anything you really look forward to, it took forever to get here and was over in two Addams Family snaps! I got a new camera and I apologize if some of the photos below are a little fuzzy. My hands were sweaty sometimes and well, my hands shake a tad, so... and only figured out the "shake adjustment" feature on the camera during the bus trip home! Ah well... Here is my pictorial essay on my "Weekend in the City." Enjoy. Sunny, breezy, increasing warm, but not unbearable... up at 5:30 to pack (ok, I procrastinate), my buddy picks me up at 6:30... Megabus departs a bit after 7 and we are in the city by 10:45! Bad knees (me), allergies/asthma (my buddy) converge to force the trip uptown via the subway under Madison Square Garden. Next stop 42nd Street Station, 44th Street exit! First stop, Hotel Edison where we will be staying... small, but nicely refurbished suite! Splitting the cost wasn't too bad, and the location made the cost worth it! Here are the art-deco style paintings in the lobby. The whole hotel is that style, just as it was when it was built. Funny to think that when my gandparents spen their honeymoon there, it was considered one of the swankiest hotels in Manhattan! I love the columns and the detail work in the ceiling, too. Next stop, lunch! One of my favorite places to eat BBQ, Virgil's Barbecue Restaurant. I recommend going early, no seating wait and everything is super fresh. The Brisket Melt is so tender you barely have to chew it! I'm not a potato salad fan, so I recommend swapping that for their homemade fries or their homemade mac and cheese! as most of the theatres and is three doors down from ABC Studios. Still some time before our first show, so we strolled in the sunshine in Times Square. I love the whole pedestrian mall thing, though the stupid pedestrians who don't read the street crossing signs pretty much deserve to get run over...LOL! It looks soo much better than the last time I was here. After the show, a quick stop at the Broadway New York Gift Shop, under the Marriott Marquis Theatre to buy a birthday card, remembered during intermission. I love the breezeway that isn't the drive way, full, from floor to ceiling of bright blue Come Fly Away ads, photos and quotes - plus ol' Blue Eyes crooning "My Way." versions of what you see in the breezeway, just around the corner. Click here to continue this blog about what happened Saturday night and Sunday afternoon! Mark your calendars. 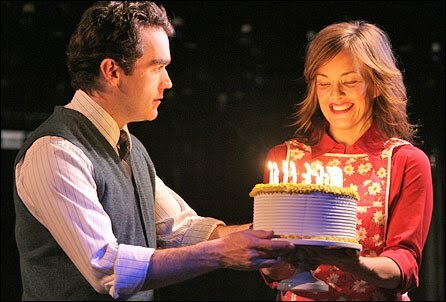 July 18 marks the departure of Broadway favorite Brian d'Arcy James, and Tony winning Alice Ripley from next to normal. Mr. James, who just got here, leaves to return to Time Stands Still, which apparently is going through with its threat to reopen. 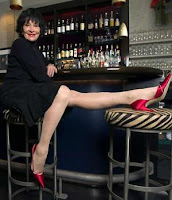 Ms. Ripley, who leaves behind a legendary diva performance likely to be talked about for years, has been with the show from its off-Broadway start two seasons ago. If you are lucky enough to live where the show tours, though, you will still have chances to see her, as she is headlining the national tour! Now comes news that the folks over at Hair, who are putting their hippie money where their hippie mouths are: they took their Times Square giant sign down (replacing it with the new, more fun logo). But instead of putting it in the landfill, they turned it into collectible, one of a kind tote bags, on sale at the merch stand over at the Al Hirschfeld Theatre. 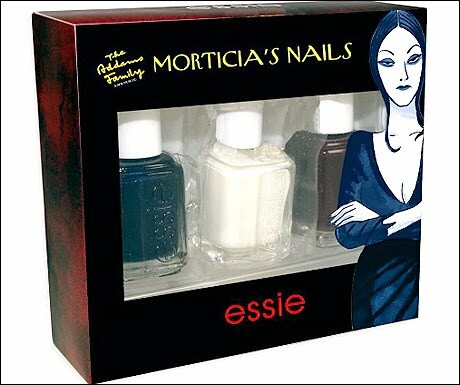 Not to be outdone, Bebe Neuwirth and The Addams Family have gotten together to create a three bottle collectible set of nail polishes named for and inspired by Morticia Addams! 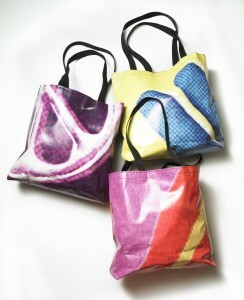 The sets will be sold online at the show site and at the Lunt-Fontanne Theatre. 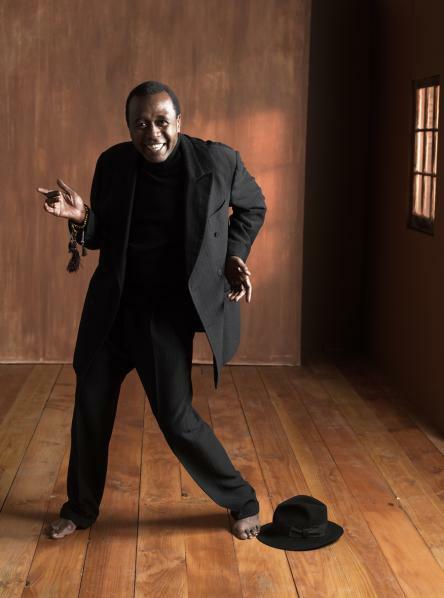 Proceeds with go to a fund for aging and disabled performers, dancers and other theatre folk, a charity near and dear to Ms. Neuwirth's heart. 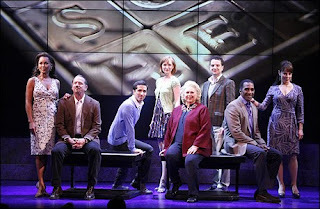 Kristin Chenoweth and Sean Hayes sat down to answer reader questions at Broadway.com. The questions are characteristically interesting/annoying/stupid often at once, but the two give hilarious answers. Their rapport off stage is awesome... and they get a pretty good dig in at Newsweek's expense. You can catch it here. And glad you are better, Kristin! I'm coming to see you very soon! Broadway keeps losing great ones. This past week, beloved critic and friend of the theatre, Michel Kuchwara passed away. And he went just the way I'd like to go... smiling with my iPod on, listening to the overture of his favorite show, Gypsy. It is rare to hear the whole community rally for a critic, but he was revered for being fair, kind-hearted and open-minded. If he loved you he told you why. If he didn't his reasons were always clearly given, sans any sense of snarkiness or self-congratulations. It is testimony to the kind of man he was that Broadway dimmed its lights in his honor, a rare thing for anyone who is not a performer. Kuchwara was 63. And Friday, we lost Gary Coleman, whose Broadway connection was a strong, but odd one. He is a character in the long running, Tony winning musical Avenue Q, which makes loving fun of his reputation post Diff'rent Strokes. Odder still, the role, in the US at least, is played by a woman! The statement from the AQ team was appropriate and sincere. I can only imagine how difficult it must have been Friday night to play the role. Coleman was 42. OH! And who didn't nearly pee themselves at the news that Bernadette Peters and Elaine Stritch might replace Catherine Zeta-Jones and Angela Lansbury in A Little Night Music. Just the idea thrills me, but if it happens, SIGN ME UP!!! The "Tony Bump": Is It Real? 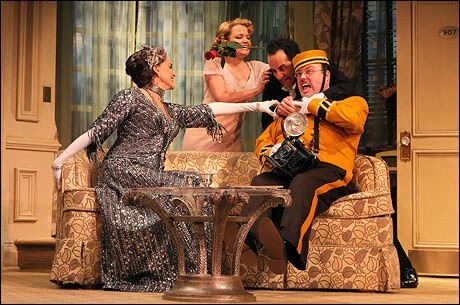 Another thing that gets bandied about during Tony season is the"Tony Bump at the B.O." I really wanted to see if this was a real or imagined result of Tony nominations. And of course, after the awards are given, I'd like to see if there is actually a "bump" then, too. What I looked at are the two fairest comparison points, I think: % of seats taken and average ticket price. 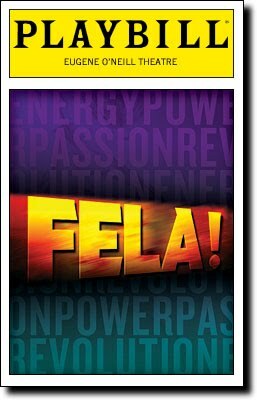 I also thought to consider how long a show has been running, keeping in mind that longer running shows might have had larger audiences when they were newer - their is a significant disparity in length of run between Fela! and Memphis, versus American Idiot and Million Dollar Quartet. The two other shows, The Addams Family and Come Fly Away are relatively close in performances themselves. The number of performances listed below is as of May 23rd, which is also the last day of the period studied. And of course, I took into consideration the number of Tony nominations to see if they, in fact caused a change in box office. BEFORE means the two weeks before the Tony nominations, DURING means the week of the announcement, and AFTER means the two weeks after the announcement. 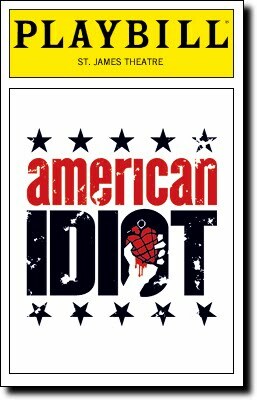 American Idiot seems to be at a level in the mid 70%s over the whole period, while their average ticket price is moderately up. BUMP-O-METER: Barely a change, but trending upward. Fela! 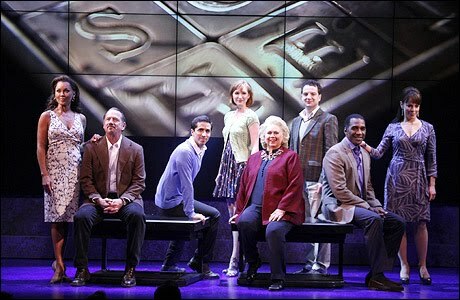 certainly has benefited from its Tony nominations; it has the most nods and the highest percent increase of any show. And their average ticket price is moderately up. BUMP-O-METER: Fela! is really working its Tony mojo! Memphis seems to be at a level in the mid 70%s over the whole period, while their average ticket price is moderately up. Throughout the run, the show is usually in the mid 70% range, peaking occasionally in the low 80% and going as low as mid-60s. 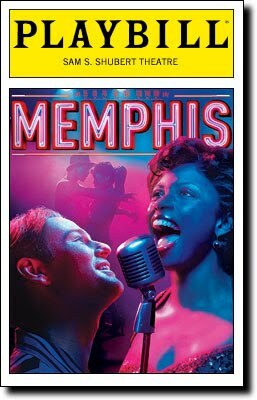 BUMP-O-METER: With 8.5% overall increase and ticket prices creeping upward, Memphis seems to be feeling the Tony bump, especially given that it is the oldest show on the list. 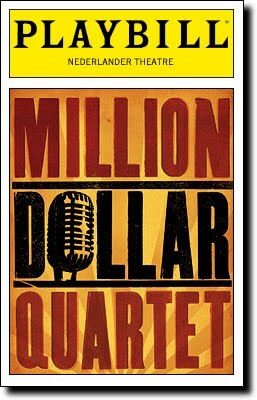 Million Dollar Quartet, just like American Idiot, seems to be at the same level (in the high 60%s over the whole period, but their average ticket price has leveled off. BUMP-O-METER: Barely a change, and not trend at all. Of the Best Musical nominees, the biggest winner is also the show with the most nominations, with the second biggest show nominations wise is also a strong second, while the two shows with the lowest number of nominations seem to be pretty level. Looks like there might be something to this "Tony Bump" thing, after all. 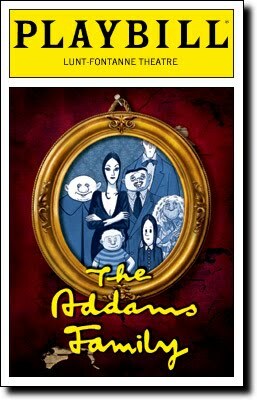 The Addams Family, critical whipping boy, is the highest grossing, highest attended and highest average ticket price of any new musical this season. And there don't seem to be any significant ticket discounts, either. No one seems to care that it didn't win the Tony committee over. BUMP-O-METER: Who needs a bump when you are the top of the heap? 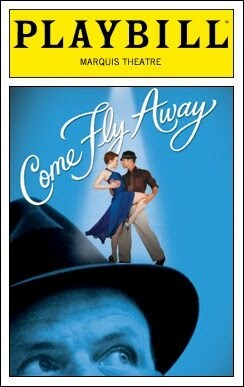 Come Fly Away seems to be at a level in the low 70%s over the whole period, while their average ticket price is leveling but still incredibly high. The discounts are not huge, and again, it seems to be doing a great job considering the ho-hum critical response, the economy, and lack of Tony recognition. BUMP-O-METER: Barely a change, but with Frank on board, the future looks like it could be decent. 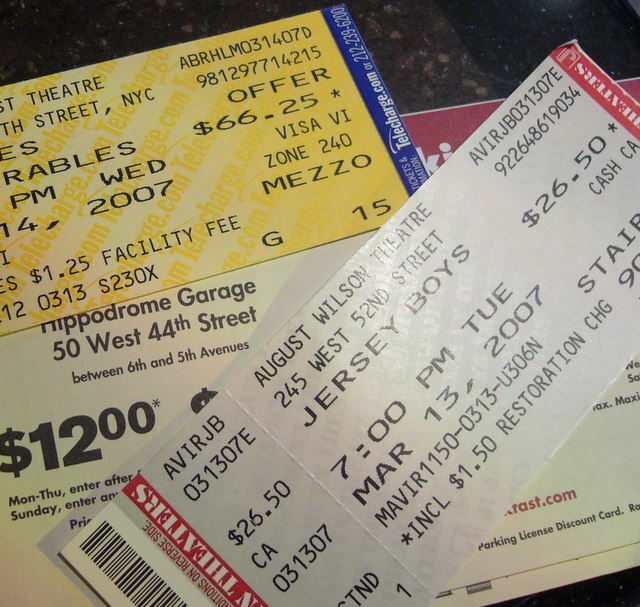 THE BOTTOM LINE: While the Tony nominations did help the biggest two nod-getters, when you factor in two shows that by all rights should be closed, but are outselling all four Best Musical nominees, either by attendance and/or ticket averages, one thing is abundantly clear: Audiences will pay more for what they want to see, critics or Tony nominations be damned. The lead up to the Tony nominations was a time full of hypothesizing and wishful thinking (and probably a lot of drinking). Then, immediately following the nominations the frenzy of woulda, coulda, shoulda and anger at omissions/shock at inclusions reactions come at a rapid pace. Then the guessing, educated and "gut", starts until everyone has made their choices (adjusted based on the other awards given out before the Tonys, of course). Then it gets eerily quiet. Then "it" happens. "It" seems to rear its head every year around this time. What is "it"? One year, it was all about the "replacement actor" Tony. And the committee caved, agreed to giving it, but set up some pretty impossible guidelines - the show had to have been running x time, the replacement must have played x performances before consideration, etc. The idea was to keep shows from stunt casting to get awards - the "grab and go," if you will. In other words, Betty Buckley in Sunset Boulevard, yes, 10 weeks of Brooke Shields in Chicago, no. Still, the idea is a good one. 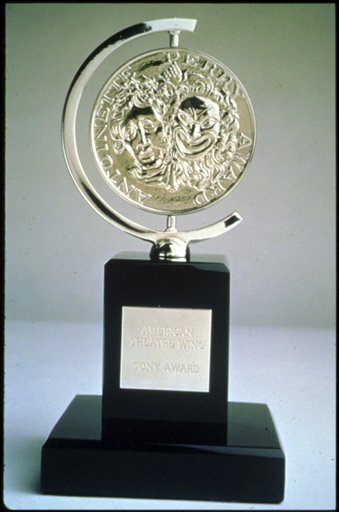 Over the years, there have been rallies for Best Original Song, Best Understudy (Male/Female/Play/Musical), and even Best Promotion (advertising). The one that seems to be most consistent (beyond replacement actor) is the call for a Best Ensemble. 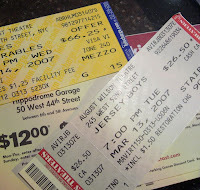 In fact, recently, Playbill Online ran a very good article on that very topic. According to it, everyone seems to think it is a good idea, but no one can figure out how to make it happen. Mainly, the reason is that, like "star quality," "ensemble" is something you know when you see it, but can't seem to define it. They quibble, too, that it might "dilute the Tony brand,' i.e. you give out too many, they become worth less (bah humbug), and that some actors might prefer to be considered separately rather than share the glory (ego maniacs to the front of the line). I don't see any reason why a piece can't recognize the ensemble work of the cast as a whole while acknowledging that one or two roles might justifiably stick out some. Case in point, The History Boys, a fine example of ensemble work if ever there was one. They were, to a person, a solid unit, working as one to bring forth the fullest meaning of the text. Still, you can't say that Richard Griffiths, Frances de la Tour (the teachers) and Samuel Barnett and Dominic Cooper (two of the students) - the first three Tony nominees, the first two winners - didn't do individually magnificent work, deserving of accolades by themselves, when the script and the storytelling called for it. That year, I'd have awarded all 4 actors and the cast. Still, other plays have the whole cast at the same level throughout - witness God of Carnage. 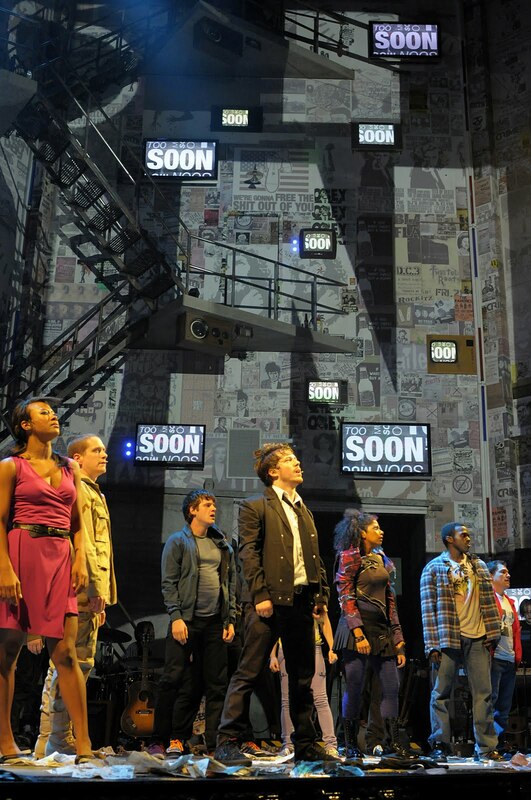 The entire cast was Tony nominated. Why couldn't/shouldn't they have been given an outstanding ensemble award, too? This year, two plays stick out to me as completely ensemble plays - Lend Me a Tenor, by the very virtue of the level of farce they are playing makes them an excellent ensemble, in spite of the billing, and despite whatever quibbles one may have with the script. 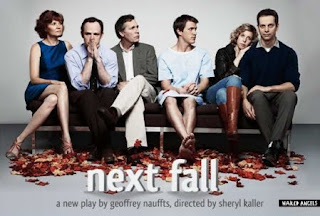 And Next Fall, which is a brilliant piece, and brilliantly acted. But nary a nomination for any of the cast. Why? They have been universally lauded. But the play and the story it tells give equal weight to all of the characters, and the play would suffer if even one piece were missing. 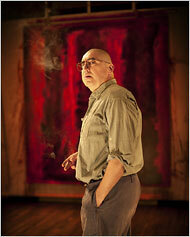 It would also suffer if one or two of the actors tried to make it a tour de force for themselves. I'd give the Best Ensemble in a Play to either cast, maybe both. And what about musicals? They come - some of them - with an ensemble even labeled as such. Imagine if you will, the nomination of the Jets over the Sharks in West Side Story. But a case could be made for that show, that the cast, minus the lead roles is so integral to the story and the staging that they might just be a Best Ensemble candidate. (A funny one might pit The Jets against Les Cagelles!) The exact same scenario is occurring this season over at American Idiot, take away the seven principals, and that show would be dead without its ensemble, so crucial they are to supporting the meaning and the principal cast. Then you have musicals that are structured like The History Boys. Next to Normal comes to mind. Sure the individual performances are/were amazing, but they work together with such a completeness and unity. Same with Hair, perhaps even more so. You need the whole tribe, not just Berger and Claude, Hud and Sheila. And this season, I think two musicals really fit the ensemble mode: Come Fly Away, and Sondheim on Sondheim, star billing not withstanding - and I think Barbara, Vanessa and Tom would agree that their "supporting cast" does as much for the evening as they do. And so, my nominees for Best Ensemble in a Play are: Lend Me a Tenor and Next Fall. 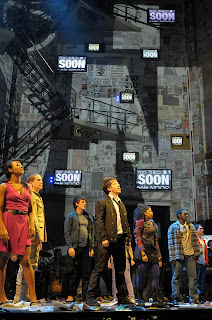 And my nominees for Best Ensemble in a Musical are: American Idiot, Come Fly Away and Sondheim on Sondheim. 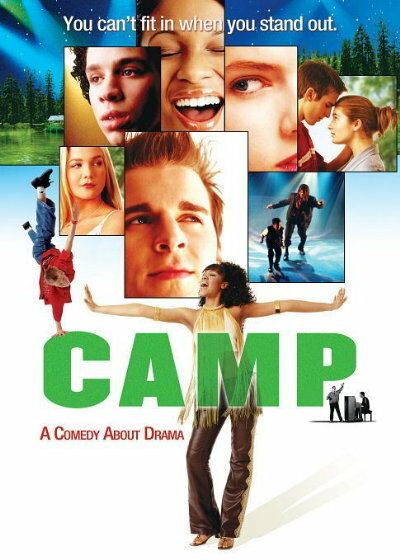 DVD: Camp. 2003. Choreography by Michele Lynch and Jerry Mitchell. Produced, Written and Directed by Todd Graff. An IFC production/A Jersey Films/Killer Films/Laughlin Park Pictures production. 1 hour, 50 minutes. 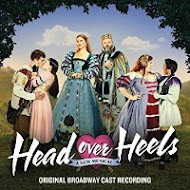 Starring: Daniel Letterle (Vlad), Joanna Chilcoat (Ellen), Robin De Jesus (Michael), Steven Cuffs (Shaun), Kahiry Bess (Petie), Vince Rimoldi (Spitzer), Tiffany Taylor (Jenna), Sasha Allen (Dee), Alana Allen (Jill), Anna Kendrick (Fritzy), Don Dixon (Bert) and Stephen Sondheim (as himself). I came across Camp by way of a friend who was thumbing through my La Cage aux Folles Playbill. "That's the kid from Camp!" she exclaimed. Never having seen the film (apparently I lose my "gay card" and my "theatre snob card" for this), I had no idea she was talking about Robin De Jesus. Discussion ensued, and I mentioned that Anna Kendrick is also someone of import (Tony nominee - High Society, Oscar nominee - Up in the Air and co-star in the Twilight films - she plays Bella's non-vampire BFF), not to mention Sasha Allen (Hair), and in smaller roles, Tracee Beazer (Memphis, Hairspray) and DeQuina Moore (Legally Blonde, Little Shop of Horrors). 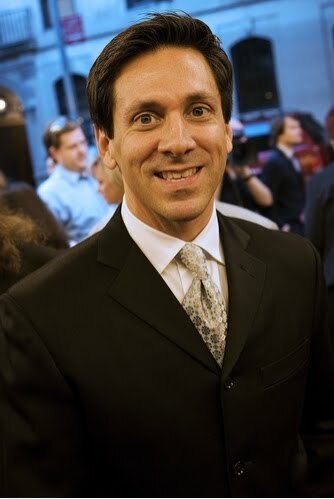 Further inspection of the movie on http://www.imdb.com/ got me even more surprises - Todd Graff, star of Baby, wrote, produced and directed the film, Jerry Mitchell co-choreographed it, and none other that Stephen Sondheim appears in a cameo role. No wonder my "cards" were called into question! And so I watched the movie - twice. And here are my thoughts. It is the rare film or show that manages to hit all of the prudent stereotypes, warts and all, and manages not to annoy me. Instead, because even though they each wear their hearts on their sleeves these stereotypical teens do so with a disarming sincerity that make it for them (and us) just a little more "real" than we'd like to admit. Stereotypes are just that because they actually exist. And every single "theatre geek" stereotype is here: the gay kid comfortable with his sexuality (Spitzer - Vince Rimoldi), the gay kid/drag queen who thinks he's OK with it, but struggles to find himself and fit into his family (Michael - Robin De Jesus), the Black kid with talent to spare, but not too comfortable in his atypical skin (Shaun - Steven Cutts), and his tag along little brother (Petie - Kahiry Bess), and the self-aware, hyper sexual straight kid with talent and looks to get him any girl or guy he wants (Vlad - Daniel Letterle). 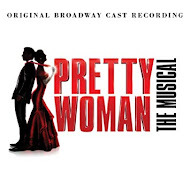 Then there are the girls: the giant ego with marginal talent (Jill - Alana Allen), her annoying sidekick/slave/Eve Harrington wannabe (Fritzi - Anna Kendrick), the ultra sassy black girl who has everything it takes and knows it without being a monster (Dee - Sasha Allen), the overweight girl with a golden voice and a platinum heart (Jenna - Tiffany Taylor) and, of course, the plain Jane girl with enough ability to be a huge star, but with the self-worth of a used tissue (Ellen - Joanna Chilcoat). With the setting of Summer Theatre Camp - Camp Ovation - these stereotypes interact. A love triangle between the straight kid, the plain Jane and the drag queen, the "star" and her "protege" duke it out by sabotaging each other for lead roles, the chubby girl literally has to break the ties the bind to be heard and loved, the black kid laments that there is a dearth of roles for African-Americans, while the little brother becomes an unlikely tap dancing phenom, while the rest of the cast weaves in and out of each story adding a bit of sass, hero worship and some pretty nifty dance moves. In short, I can see now why the kids at my school shied away from us. In small groups we are loud, gregarious, and bizarre; en mass, we are unbearable! Still the movie finds gentle ways to tease its own - a picture of Stephen Sondheim is mistaken as another boy's dad by the un-theatre straight kid; the entire bus of campers sings "Losing My Mind" on the way to the camp; gay pride flags adorn the walls. Then there are the production numbers, naturally. After all, the kids produce new sets of shows every two weeks, plus a blow out benefit at season's end. As a result, we get "Turkey Lurkey Time" from Promises, Promises, lovingly reproduced from the original, a truly amazing version of "The Ladies Who Lunch" from Company, "I'm Still Here" from Follies, and my favorite, the Dreamgirls sequence, added to the camp season in response to the kids' complaint that there aren't enough roles for African-Americans. The scene is "I'm Telling You I'm Not Going" with Sasha Allen, DeQuina Moore and Tracee Beazer dressed as the Dreams, while lily white Joanna Chilcoat, the only kid at camp that can handle the song, dons a huge 60s black wig and belts the number to 6 year old Kahiry Bess, dressed as Curtis Taylor, Jr.! What makes it so great is that they play it straight and ultra-seriously, AND that Chilcoat sings the hell out of the song. Each of the actors has moments to shine, and they do. Their innate awkwardness - they are age appropriate - makes them sweet, their talents make them awesome. The two main actors, Joann Chilcoat - she hits every moment perfectly, and Daniel Letterle - he exudes an intelligent self-awareness and a blinding sexiness for an 18 year old, haven't been seen much since this film, and that is a shame. I would have bet they'd have great careers. 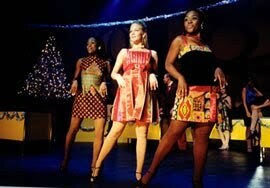 But it is great to see how far so many of them have come, especially the Broadway babies. 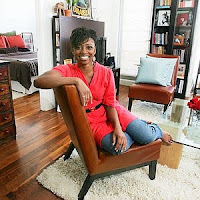 Sasha Allen owns the entire opening sequence, belting the hell out of "How Shall I See You Through These Tears?" from the short-lived Broadway musical The Gospel at Colonus. 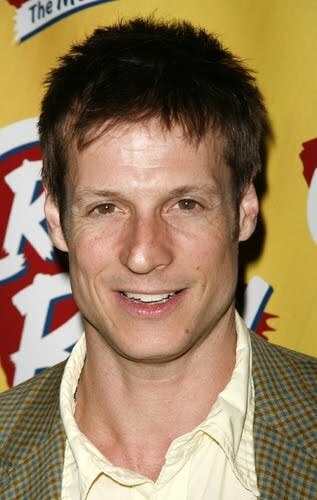 And how is Robin De Jesus, the one that got me to watch this in the first place? 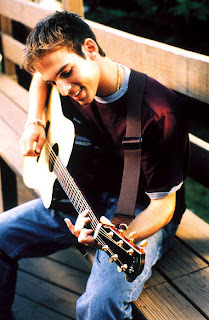 He is utterly charming, sweet and affecting. And to watch his comfort and glee in the closing number in full drag is to see exactly what is missing in his act one performance in the La Cage aux Folles revival. 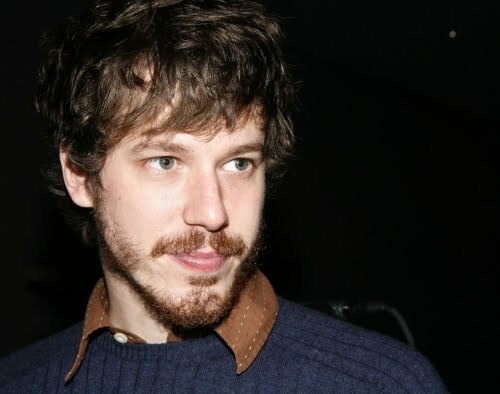 Still, he is now nominated a second time for a Tony. Who am I to quibble? So, Camp is a romp for theatre lovers - the "show" scenes will tickle you; it is a trip down memory lane for every serious (and weren't we all?) high school actor. Had it been a tad deeper and probing, the adult in me would be raving about it. But I'm thrilled that as stereotype full as it is, it manages not to be insulting or condescending. And that's probably because Mr. Graff lived this summer himself years ago. Now that season 10 of Dancing with the Stars is history, let's talk "fantasy season". Every season the actual show is plagued by criticism about "ringers," aka stars with more than a little dance experience (Nicole Scherzinger) or sports-related dancing (Evan Lysacek). So why not invite an entire cast of people who dance for a living - Broadway gypsies - but might not be well versed in ballroom styles. In my fantasy Dancing with the Broadway Stars, there are more dancers. 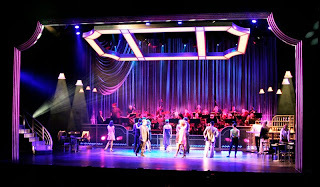 20 to be exact, and they are divided into four teams, each mentored by legendary Broadway dancers. The make up of each team is one older dancer who still can dance, one established, current dancer, two young, up and coming dancers - one male and one female on each team, and the great equalizer: a Broadway star who is not known for dancing, though they may have danced a little in the shows they've been in. I also tried to spread out the Fosse dancers, the Tharp dancers, the Robbins dancers and Trujillo/Mitchell/Jones dancers. And the professional dancers on the TV show would serve only as choreographers, they would not dance. 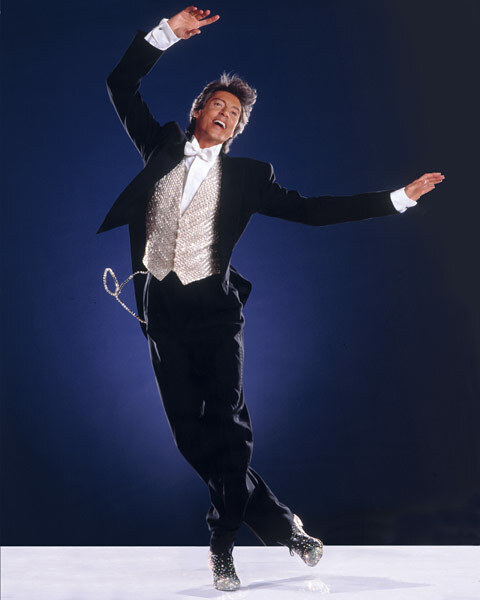 I think my fantasy season would have each team learn a ballroom dance and a team Broadway dance - original choreography. The couple who does the ballroom dance will not participate in the team Broadway dance. The scores would be combined, along with the studio audience vote (they might as well do something), and the team with the lowest combined score would lose one member of the team, as voted by their teammates, just like on Survivor. Eventually, the teams would combine, and individuals eliminated by a combination of scores, judges' choice and studio audience vote. 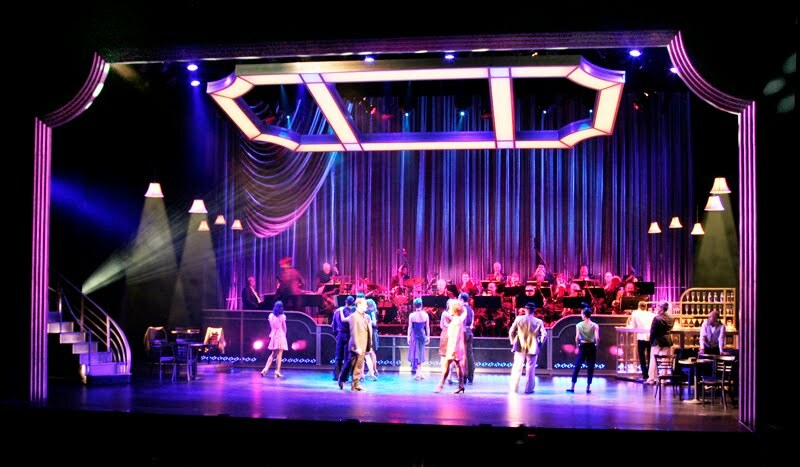 The choreography would be: ballroom, done by the TV show professionals, the Broadway dances by current choreographers, like Jerry Mitchell, Bill T. Jones, Ann Reinking, Twyla Tharp, Joey McKneely, and the mentors. And the Macy's Stars of Dance would always be numbers from Broadway shows! Have I thought about this too much? I had to do something while Buzz and Kate danced again...zzzz!